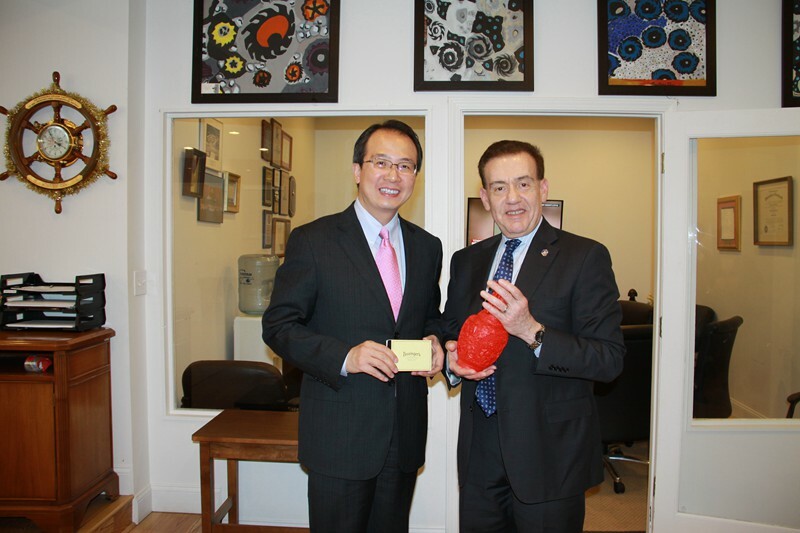 On April 21, Consul General Hong Lei visited the district office of Congressman William Clay in St. Louis, Missouri and met with the Communications Director Steven Engelhardt. Consul General Hong Lei said that President Xi Jinping and President Trump held their first meeting in Florida earlier this month. They exchanged views on Sino-US relations and major international and regional issues of common concern, and reached important consensus which set a constructive tone for the development of Sino-US relations in the new era and charted the course for future development. China enjoys close economic and trade relations and frequent people-to-people exchanges with Missouri. The two sides should tap the potential for cooperation and further strengthen mutually beneficial cooperation in the fields of trade, investment, science and technology, energy and infrastructure, continue to consolidate the foundation of people-to-people exchanges, deepen their understanding of each other and enhance the friendship between the two peoples.